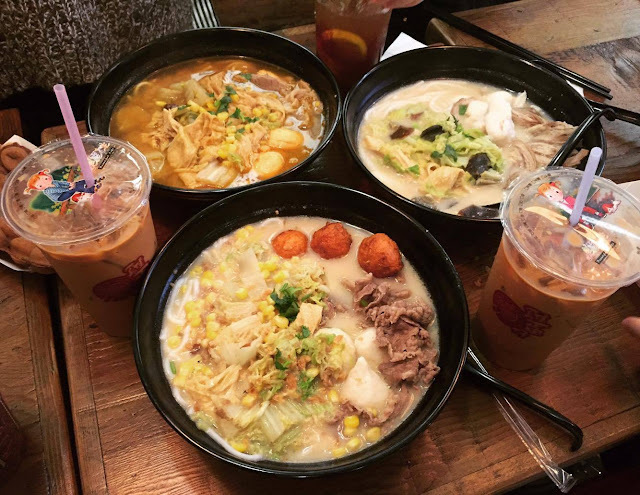 Boiling Point now has locations all across Metro Vancouver. The latest addition is on Main Street and King Edward. If you’ve been to the Richmond location, you will know how busy it is! My friends are obsessed with Boiling Point, so they are excited that there is a new location now. 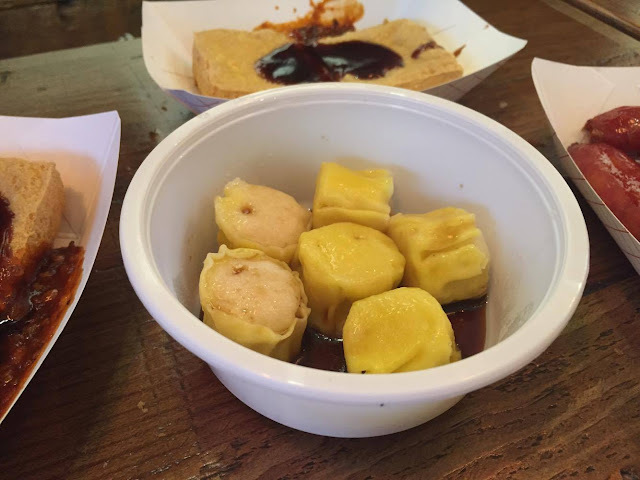 Thanks to ChineseBites, I was able to check out the new space and samples some dishes. To start, we tried some of their appetizers, including the Spicy Fermented Tofu. 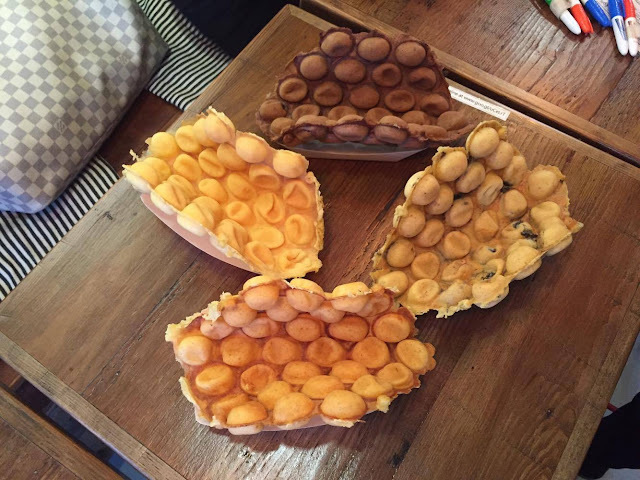 This is a typical Taiwanese snack and can have a funky smell. However, the flavour doesn’t taste weird at all. It just tastes like marinated tofu and this one was also spicy. The texture was medium to firm and great inside the hot pot as well. We also tried some of their cooked meats. 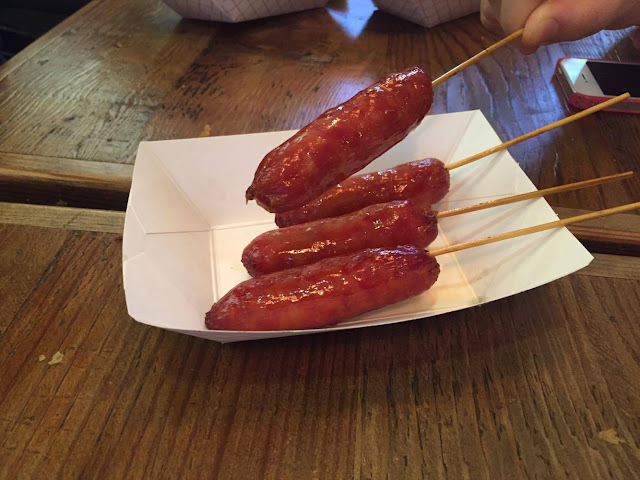 These are essentially the meats you will find in the hot pots, but they have a sauce on top. The Spicy Beef came with the typical Chinese mala spicy sauce. However, it’s not overly spicy and the beef itself was thin and tender. The Garlic Pork Belly was seasoned with some soy, garlic and a bit of chili. Because it was sliced so thin, the fat didn’t bother me at all. The last was the Spicy Cumin Lamb which reminded me of the Mongolian skewers you can get at the night market. Again, it was overly spicy though. As for the hot pots, they come as individual pots, so perfect for those who hate sharing pots. For each pot, you can choose the spicy level and it comes with a complimentary bowl of rice or vermicelli. During lunch, the prices are slightly cheaper and also includes a free green or black tea. Our table each chose a different pot and one of them included the Korean Bean Paste Hot Soup. This pot includes soybean sprouts, nira, green zucchini, kimchi, pork belly, fish tofu, kamaboko, tempura, rice cake, enoki mushroom, fish fillet, wok noodle, lobster fish ball, crown daisy, seaweed, and Korean paste. This is actually one of the pots I always get because I enjoy the kick from the kimchi. 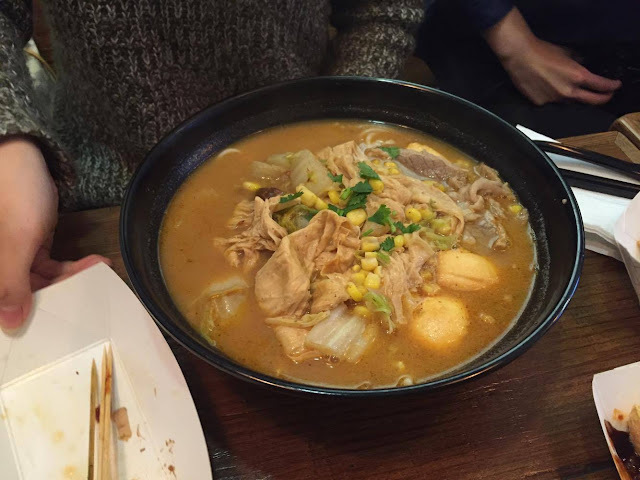 The Japanese Miso Hot Soup comes with cabbage, udon, sliced pork, enoki mushroom, clam, Fuzhou fish ball, fish fillet, king oyster mushroom, crab, fried tofu skin, soft tofu, egg, and green onion. This one is more mild and will satisfy your Japanese cravings with all the Japanese ingredients like udon and the miso base. The Milk Cream Curry Hot Soup is a new addition to the menu. I remember they used to have just the plain Curry Hot Pot, but now they added this milky cream which I find a little odd. This features napa, vermicelli, sliced pork, enoki mushroom, imitation crab stick, fish ball, fried tofu skin, corn, tempura, jicama, chinese string bean, and sea salt cream. To be honest, I think I prefer the old version more as I don’t find the cream to add any flavour to the soup. 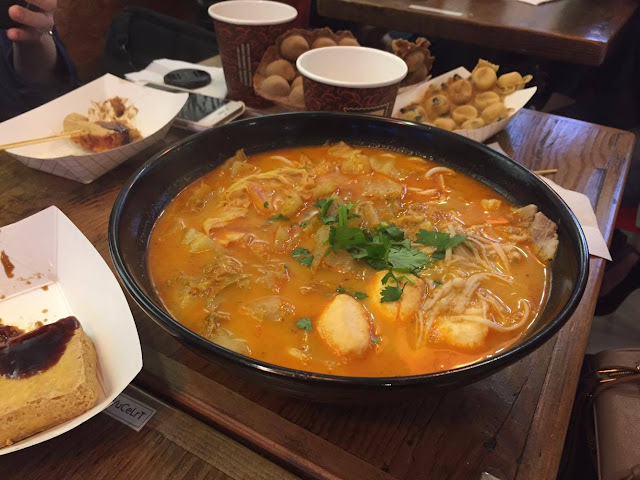 The Taiwanese Spicy Hot Soup is one of the pots where you cannot choose the spicy level because it automatically comes as flaming spicy! 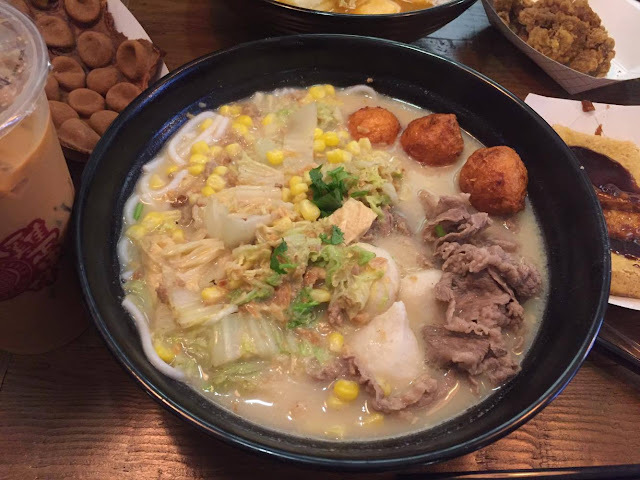 It features cabbage, instant noodle, sliced angus beef, tempura, enoki mushroom, clam, Fuzhou fish ball, cuttlefish ring, pork intestine, wasabi rice ball, fried tofu skin, maitake mushroom, iced tofu, green onion, and cilantro. Perfect for those who love spicy. My girl friend who loves everything spicy always orders this one! For myself, I decided to try something new for once and chose the House Special Hot Soup. The pot features napa, fermented tofu, sliced pork, enoki mushroom, kamaboko, pork meat ball, clam, quail egg, pork blood, pork intestine, nira, preserved vegetables, tomato, and cilantro. Because the pot has fermented tofu, this pot has a bit of that funky smell. The soup base is really flavourful though and perfect if you want to get a bit more of that authentic Taiwanese style hot pot. The only downside is I don’t really enjoy eating pork blood and intestines, so I end up skipping those ingredients! I also ordered the Hokkaido Milk Tea which is my favourite drink here. It’s so smooth and I always end up gulping this down quickly because of how good it is! To end our night, we tried their latest dessert which was the Milky Soft Herbal Jelly. Look at how cute the take out box is! I love how it comes with the condensed milk as well! This is what it looks like if you eat in. Typical herbal jelly with a nice sweet condensed milk to pair. A nice way to end your flavourful meal. Overall, the food at this new location tasted just as good as the Richmond location which I usually visit. This location seems to be less busy which is a good thing for us since I hate waiting at the Richmond location. A perfect new spot for diners living in Vancouver! Always good especially during the cold rainy nights! Ever since we came back from Taiwan, we’ve been craving the large fried chicken you can get at the Taiwanese night markets. 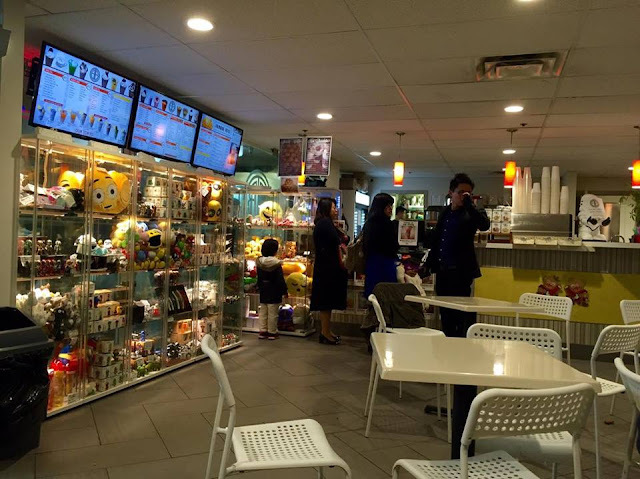 The first time we came across it in Vancouver was at the Richmond Night Market, and now Big G Large Fried Chicken has opened up a store front in the mall on Capstan. Take out is available, but there is also a decent amount of seats for you to dine inside. Whether you order take out or dine in, you will need to first order and pay up front. 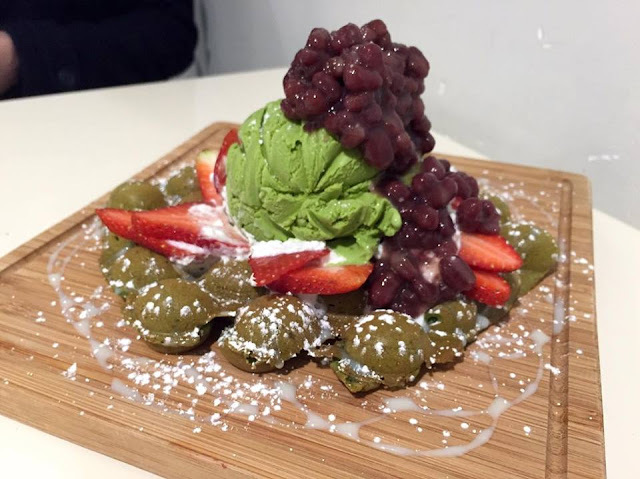 Other than the signature large fried chicken, they also have a variety of Taiwanese snacks and bubble tea. Of course we had to try the Large Fried Chicken which costs $9.99 for one piece. It’s quite expensive compared to Taiwan where it’s only around $3. Here, you are able to season the chicken with a variety of flavours though and can choose up to two flavours for free. The chicken itself is huge (the size of your face), but the chicken remains moist and juicy inside with the outside being extremely crispy. We chose to have one with salt and pepper which is essentially the original flavour. The other, we chose to have seaweed powder which was my favourite. Although quite expensive, I would still come back for it and share it as a snack. In Taiwan, we were also obsessed with the Crispy Oyster Mushrooms. Here, these were just as good with the oysters remaining moist and the outside well seasoned and crispy. They were priced at $5.75 but you got a decent portion. 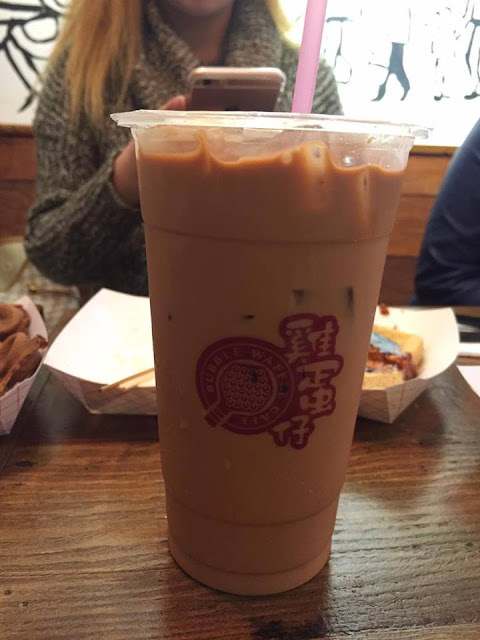 Last but not least, we got the Big G Milk Tea for $4.50 and added $0.50 for pearls. By buying one main, one snack, and one drink, we made this a combo and received $1.50 off our total combo. The milk tea is okay, but nothing super special, so I find it quite expensive. 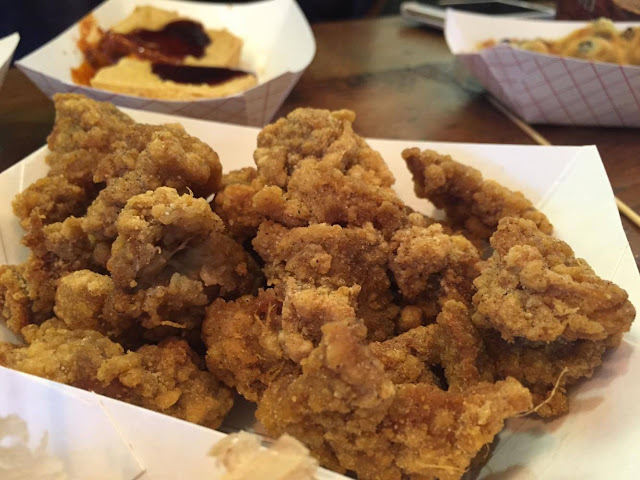 Overall, we are happy that we now have the large fried chicken available in Richmond. 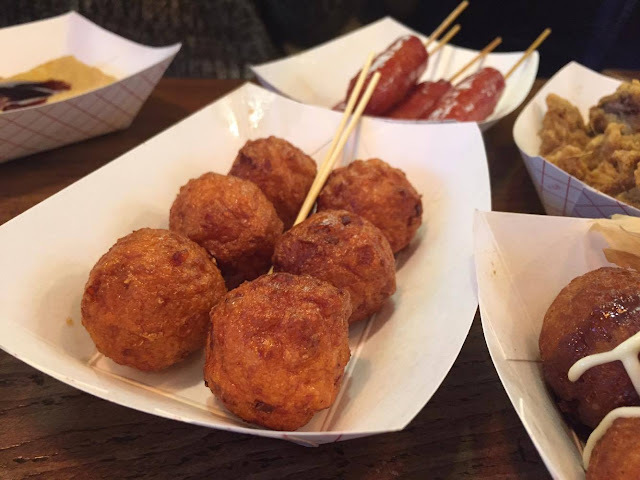 It makes a great snack when you are craving something deep fried and the best part is they open late! 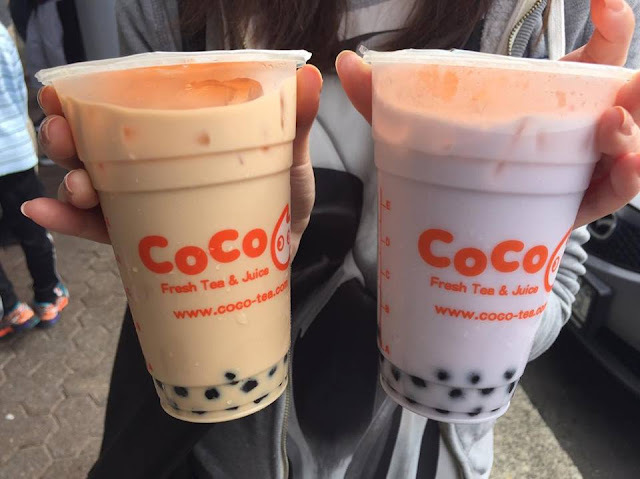 CoCo Fresh Tea & Juice opened up their first location in Vancouver a few months ago in downtown and have since opened another in Richmond in Broadmoor Shopping Centre. Since there was a grand opening promo going on, there was a huge line up. We ended up waiting over 30 minutes because of the long line ups. We found service to be quite unfriendly at CoCo. I know there’s a huge line and they want to get things moving, but a smile or just thanking the customers for waiting would have been appreciated. There is some seating in this location, but most people grab take out here. 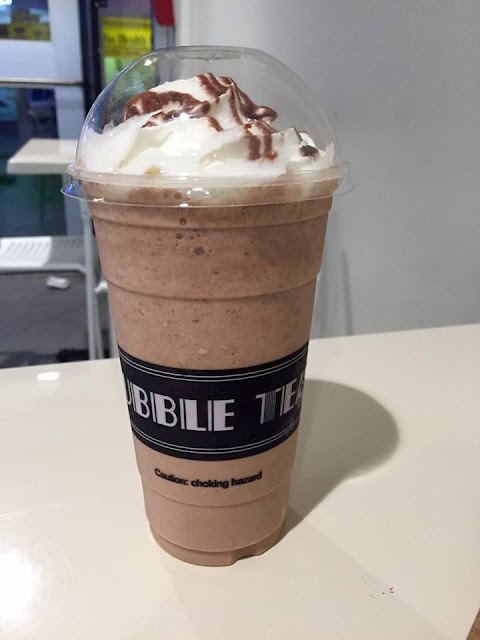 The promo during their grand opening was buy any one of their top 10 drinks and you get a free regular sized milk tea with pearls for free. You can choose large or regular size with a difference of 50 cents. I decided to try the Three Guys which is one of their most popular drinks, consisting of grass jelly, pudding, and pearls. This is quite good as you get a bit of everything but some may find that it’s too much. I actually didn’t mind the variety especially since I love all three toppings. The free Milk Tea that came with the promo is pretty good but I still prefer the Chatime roasted milk tea. However, it definitely beats the Shiny Tea one. I would say it’s pretty good compared to the other options out there, but Chatime’s roasted milk tea is still my favourite. In terms of the pearls, they were quite chewy, a little too chewy for me personally. On another occasion, I went back to take advantage of the deal, and also because I wanted to try the Taro Sago. By the time we got to the cashier, we were told there was no sago and only pearls. I was quite annoyed as I wish they had announced that earlier since I came mostly for the sago. Well, since we had waited forever in line, we got the Taro Milk Tea with Pearls instead. This was quite disappointing with the taro tasting like powder. Overall, CoCo falls below Chatime but above Shiny Tea for me personally. Price is around the same as Chatime at $4-5. Apparently you can also customize ice and sugar level just like Chatime but the cashiers never let the customers know. Perhaps it was because they were too busy during the promo period. 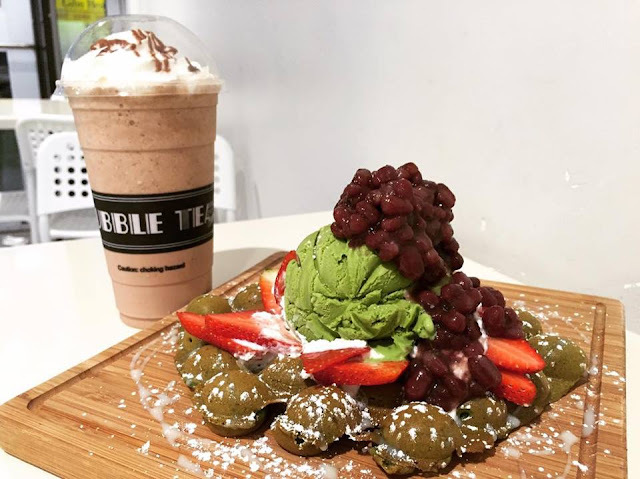 Bubble Waffle opened a sit-in location in Kerrisdale and ChineseBites invited us to a media tasting. 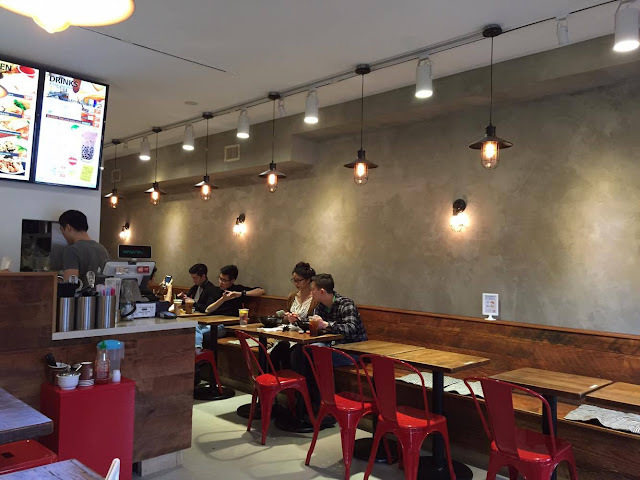 The interior is rustic and the owner said he wanted to give a HK style feel to it. The prices here are a little higher than the food court stalls, but they are still affordable. 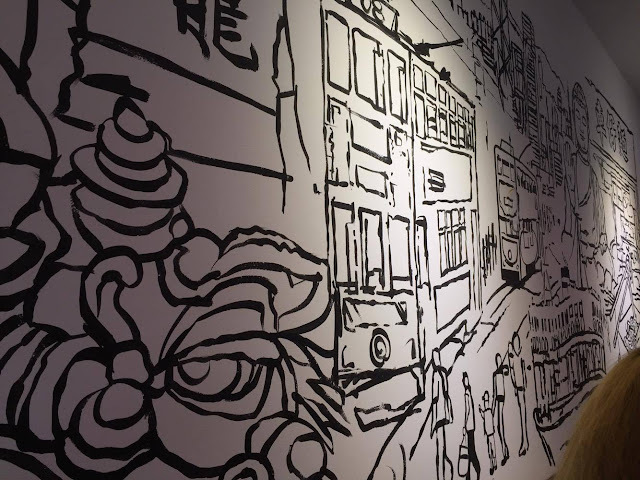 They even have a mural painted on the wall showcasing Hong Kong. I sat with Instagrammers, Tina, Sharon, and Elaine. 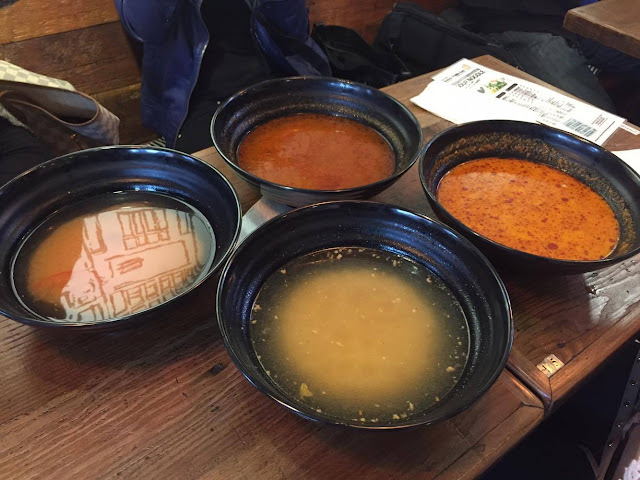 First up, we got to sample all the different soup bases. This was great since there are a few soups that I wouldn’t normally order, like the really spicy ones. 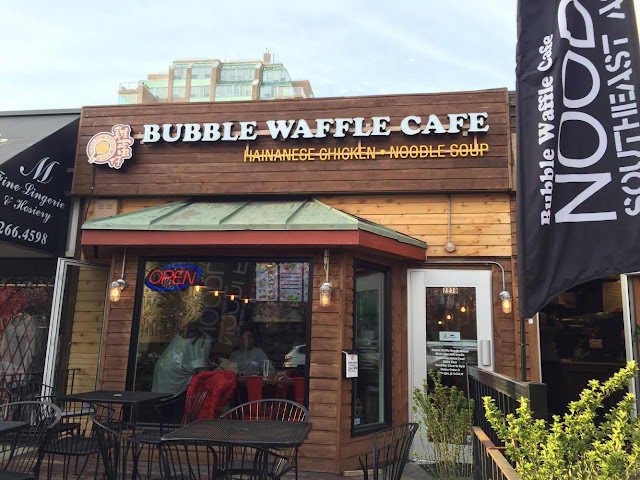 We then got to sample a selection of their Bubble Waffles. They have a variety of flavours here, including original, chocolate, Oreo, cheesecake, matcha and cinnamon. These were okay, but not crispy enough. My favourite was still the original although I found the cheesecake flavour surprisingly quite good. The cinnamon flavour was probably my least favourite. Next up were some Taiwanese snacks. The Taiwanese Sausages were quite a hit at our table. They are a mix of sweet and savoury and have a firm texture. 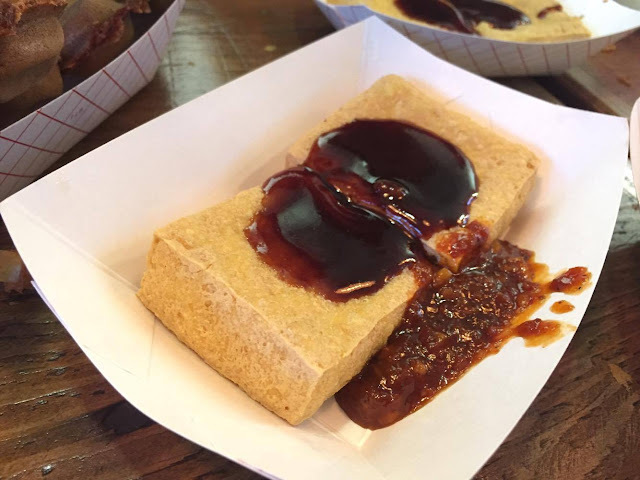 My favourite snack was the Deep Fried Stinky Tofu. The outside was very crispy and the inside was piping hot. Along with the sweet and spicy sauce, this was delicious. A miss for some because of the fermented smell. The Fish Siu Mai was quite typical and I found that it was soaked in too much soy sauce. I kind of wished it had a chili sauce on the side. 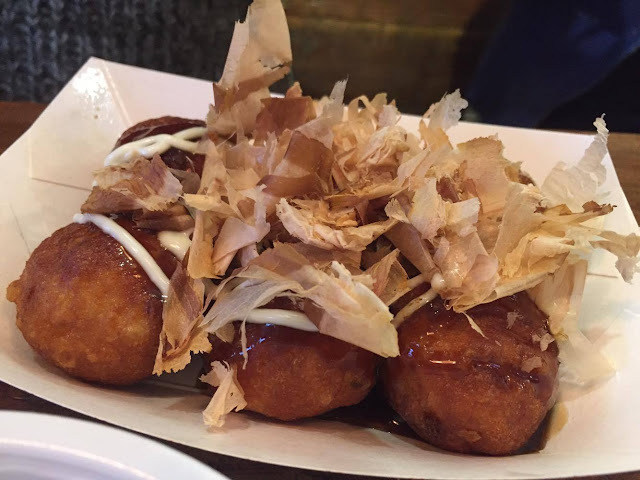 I enjoyed the Takoyaki quite a lot as these were filled with a generous amount of octopus bits and the inside wasn’t doughy like some I’ve tried. The Taiwanese Chicken Nuggets were a hit as they were crispy with the chicken itself very moist. I loved the salt and pepper flavouring. 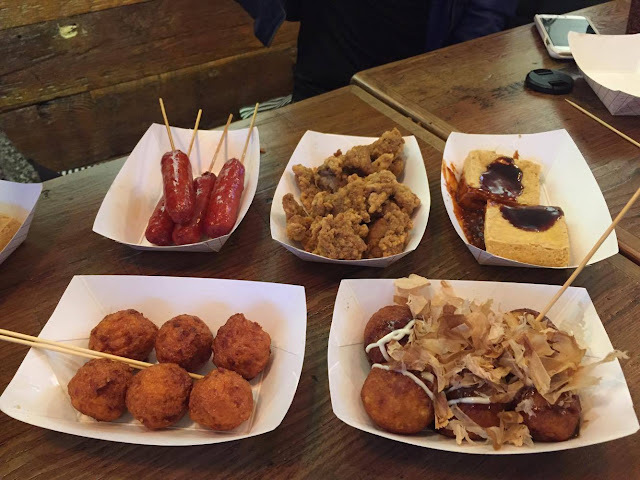 The Fried Shrimp Balls were a beautiful orange colour but I found them to be slightly bland. It needed a sauce to go with it. 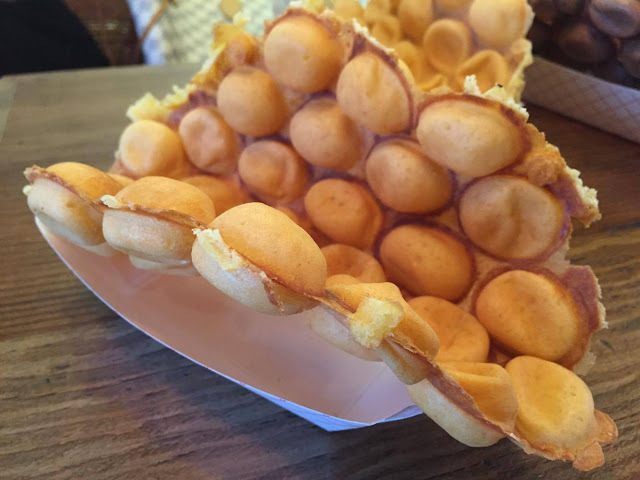 Overall, Bubble Waffle Cafe has a great variety of snacks which you can order on its own or pay extra to add on as a side with your noodles. The drinks came along and I got the HK Style Iced Milk Tea. 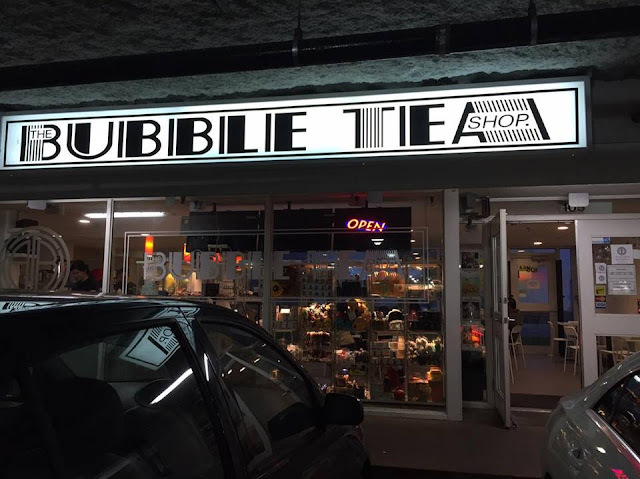 Their milk teas are actually made with a blend of 5 different Sri Lankan teas. The tea also goes through a filter and is pulled, a common way of making milk teas in Hong Kong. Very silky smooth as a result. Finally our noodles which we got to customize arrived! E got the Laksa soup base which is one of my usual orders. The soup is flavourful without being too spicy. T got the Satay soup base which again is very flavourful. It almost tastes like you’re having hot pot! For myself, I chose the Chiu Chow Style Minced Pork Fish Soup along with rice noodle, sliced beef, sliced beef brisket, fried shrimp ball and fish ball with shrimp. All noodles come with cabbage and bean curd. For some reason, my soup also came with corn. 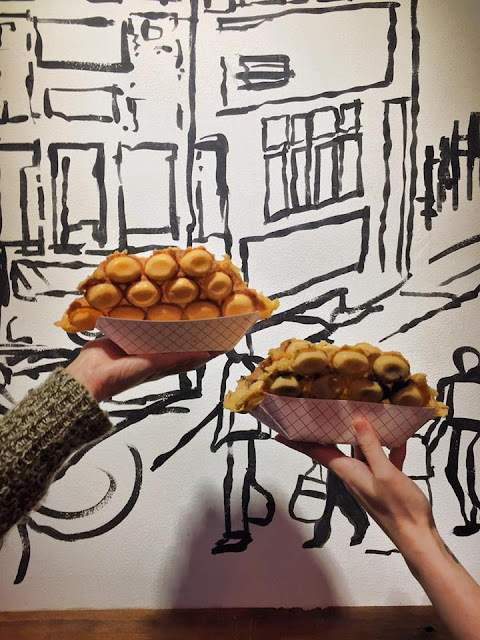 Overall, Bubble Waffle is great when you’re craving hot noodles in soup on a rainy day. I also love the ability to customize everything from the soup to the toppings. You’ll be very full by the end of your meal for sure with the large portion sizes and affordable prices. A nice option to be able to eat at a location with a nicer ambiance compared to the food court now.